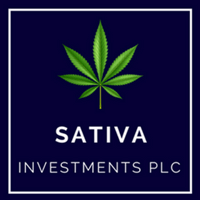 Sativa Investments Plc (NEX: SATI) CEO Geremy Thomas talks to DirectorsTalk to discuss the appointment of Chris Jones a retail expert to launch Sativa’s Goodbody & Blunt wellness stores. Sativa Investments announced that Chris Jones is to launch its wellness centres, branded Goodbody & Blunt, which will offer customers a variety of CBD wellness products in drop-in cafes that will offer in-house or retail purchases. Chris will be Managing Director of Sativa Wellness Centres Limited and the expansion plan will be funded from the Company’s existing resources, including the proceeds of the Share Placing completed in October 2018. Chris’ experience centres on the vaping and mobile phone industry, where he developed strong relationships in key markets, including Germany and the USA, and helped build and expand retail businesses in competitive market conditions. “Chris’ experience of growing businesses in these highly competitive markets, coupled with very strong retail and franchise operational knowledge, is an ideal fit for Sativa’s aggressive market development plans for its Goodbody & Blunt wellness centres. The model will be proofed with two to three retail outlets, then the Company has the option to roll it out further or as a franchise.